Staff, students, and families encouraging the joy of learning, the value of cooperative accomplishment, and the optimism of future success. Our goal: every student achieving high academic standards while becoming lifelong learners able to contribute to our local and global communities. 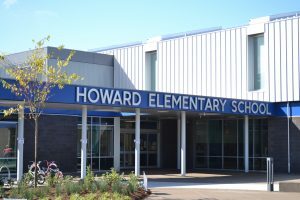 Howard Elementary School is a technology immersion program where students and teachers integrate technology into everyday learning. 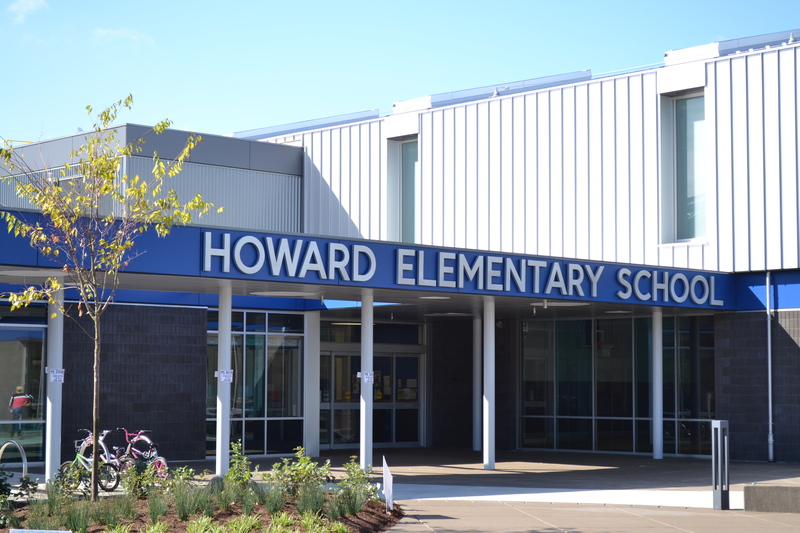 Howard offers a rigorous curriculum that challenges students and prepares them with 21st century skills. We are a place where the entire school community gathers regularly to support, celebrate and honor the achievements of all our children. With the caring guidance of dedicated staff, our students make academic gains while developing persistence and personal responsibility, qualities that are the cornerstone of lifelong learning. We are committed to fostering a curiosity for learning and the skills necessary to prepare students academically and socially for the transition to middle school. Rigorous academic explorations coupled with the immersion of technology into everyday teaching and learning helps students grow into thinkers and problem solvers of the future. Howard opened a brand new state-of-the-art building in fall 2016. The school features energy efficiencies such as rainwater collection, solar energy production and utilization of natural light. The school design includes two courtyards, a school garden area, turf and natural grass play fields, a family resource center space and improved school security. With a strong emphasis on technology, in addition to a 1:1 personal learning devices, each classroom at Howard is set up with an interactive white board, document camera, headsets and a projector. Other hardware accessible to all teachers includes wireless slates, digital microscopes, classroom response systems, video communication, MP3 players, digital cameras and digital video cameras, and more — all aimed at enhancing instruction in the 21st century. This hardware, in conjunction with many web-based resources, allow our students to access, synthesize and present their learning using a wide array of technological tools.